Roughly translated, the name Ystrad Einion means "the valley of the anvil", quite appropriate given the mine which nestles in its flanks. 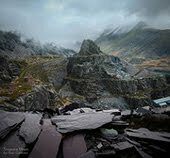 While the valley, especially it's upper reaches, is beautiful, I couldn't immediately see the reason for the other name, which is "Artist's Valley".unless it refers to Robert Plant, the Led Zeppelin vocalist who has a farmhouse somewhere in the cwm. From the lower waterwheel pit which operated the Buddles. Not quite as secretive as a rock-star's retreat, the mine nestles among conifers, whose seedlings are already beginning to take over the site again. However, the buildings are conserved enough to be able to make out and understand what went on at the site, aided by two really excellent reconstructions printed onto information boards. These boards show 3D graphics renders, with info panels giving some surprising facts about the mine. The graphics are taken from an excellent CGI film which I will link to at the end. 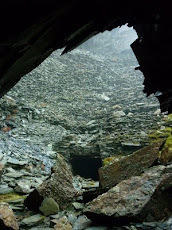 Steps thread up the site to the open shaft, which is covered by an impressive steel structure, allowing you to gaze down into the abyss below. One of two 3D graphic reconstructions on the site. 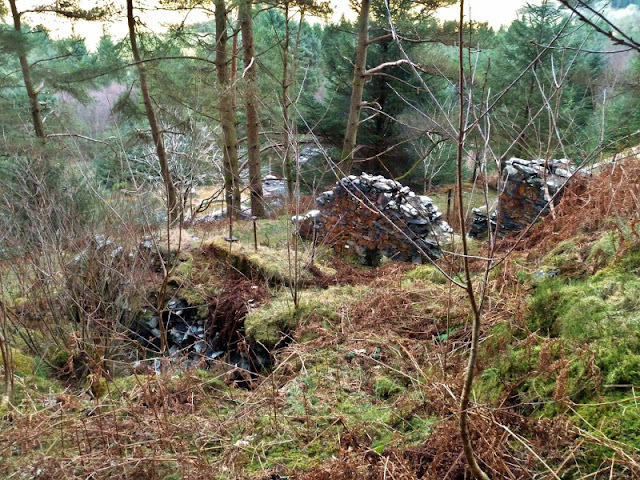 Remains of the waterwheel and flywheel pits near the winding gear at the top of the site. 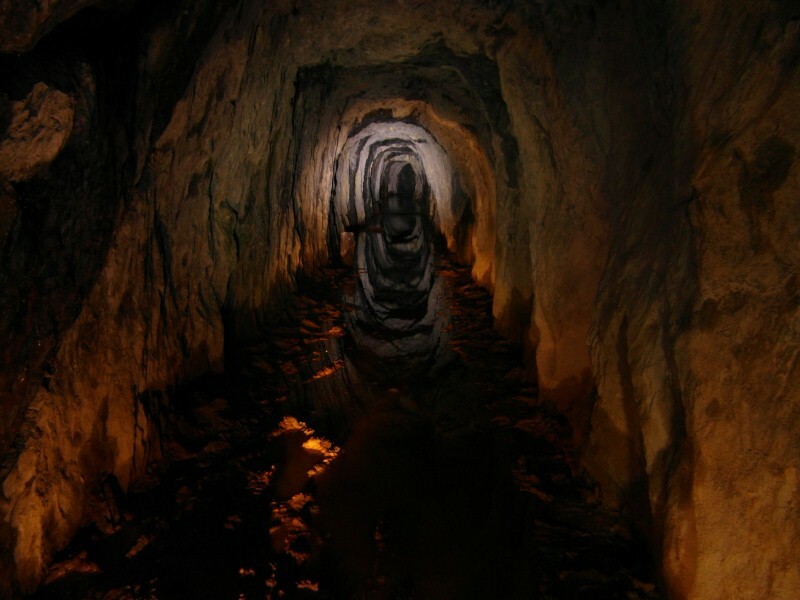 "Although possibly of some antiquity, the mine was certainly one of those worked by the Company of Mine Adventurers from about 1700 - and slightly later, by The Flintshire Mining Company. Nothing was done from 1760 until 1853 when the mine was restarted by a partnership of Charles Kirkpatrick and TA Readwin of gold mines fame. 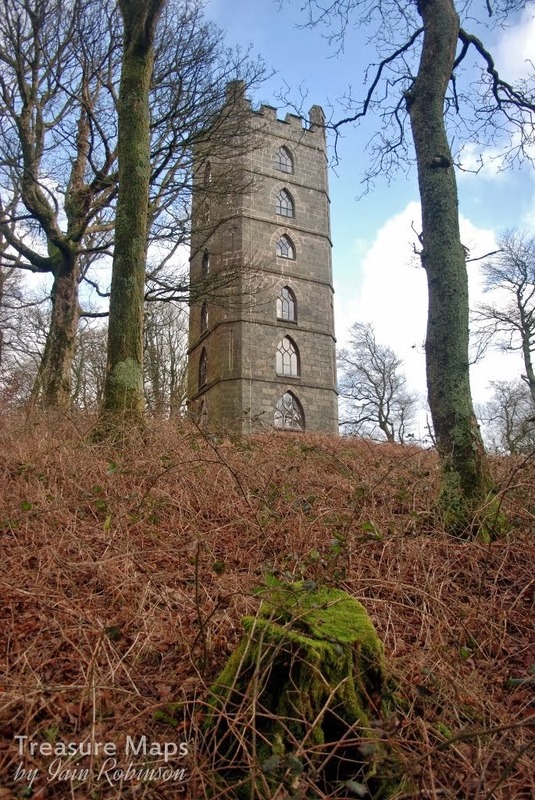 They abandoned it within a year but then the mine was taken up by two brothers, Thomas and Henry Jones who worked the mine until 1869. 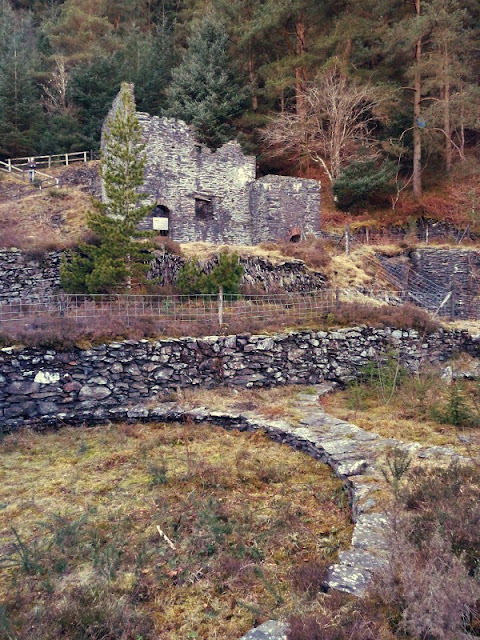 In 1870 the lease passed into the hands of Mr Adam Mason who ran the mine throughout its longest working period. During this time, a 12-fathom level was opened. 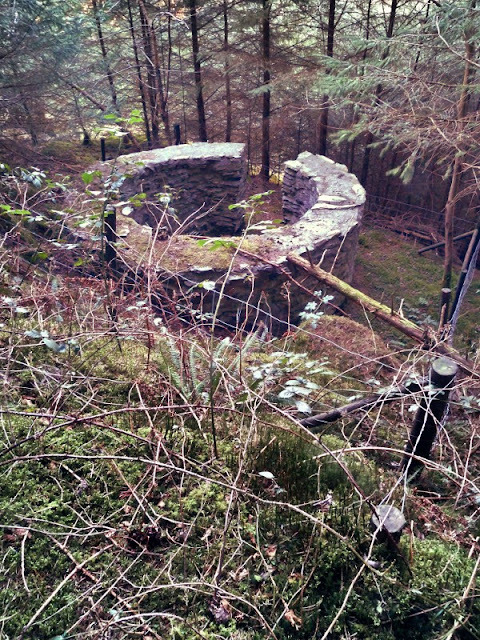 Installation of a 16-foot diameter waterwheel for pumping and winding allowed the workings to descend a further 12 fathoms. 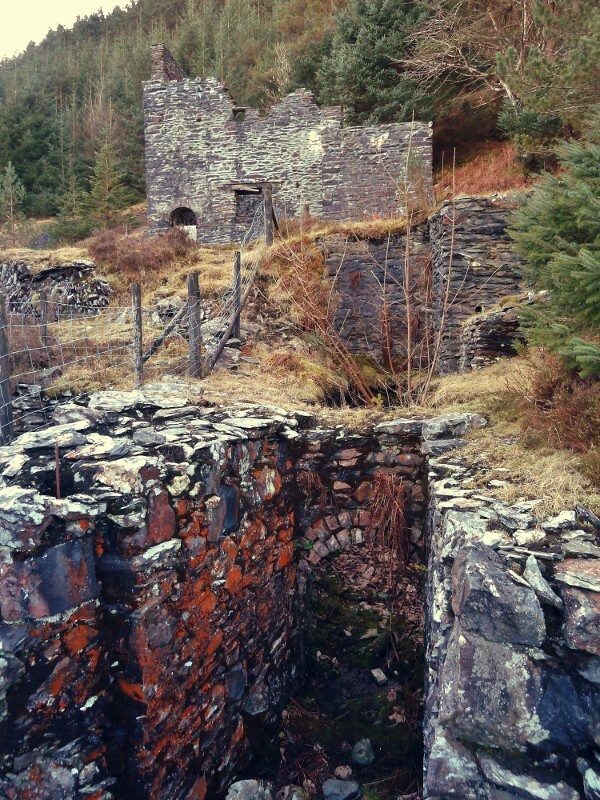 Development at the mine continued with the excavation of a 30 fathom engine shaft, together with a leat which brought power to a 22.5ft waterwheel, used for pumping and winding. 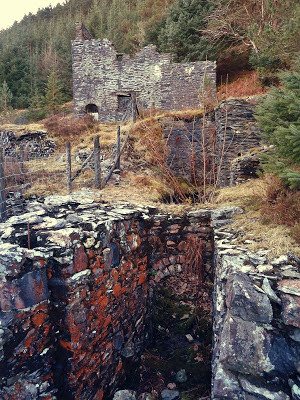 Two smaller water wheels drove the mine's processing machinery, which consisted of crushers, jiggers, and two 20ft dia. buddles. 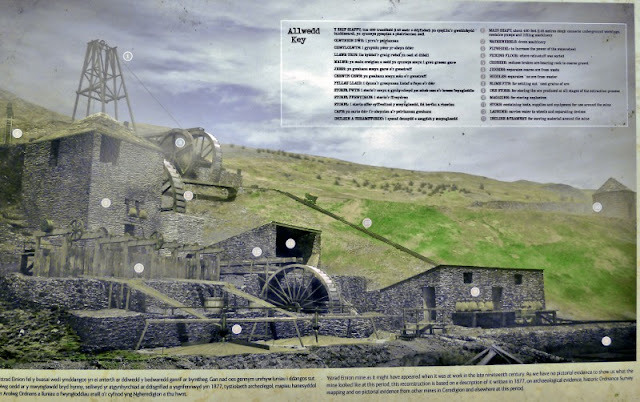 The new developments were celebrated in great style in 1877, but a distinct lack of ore meant full production didn't begin until 1891, by which point the mine was operating under new management. 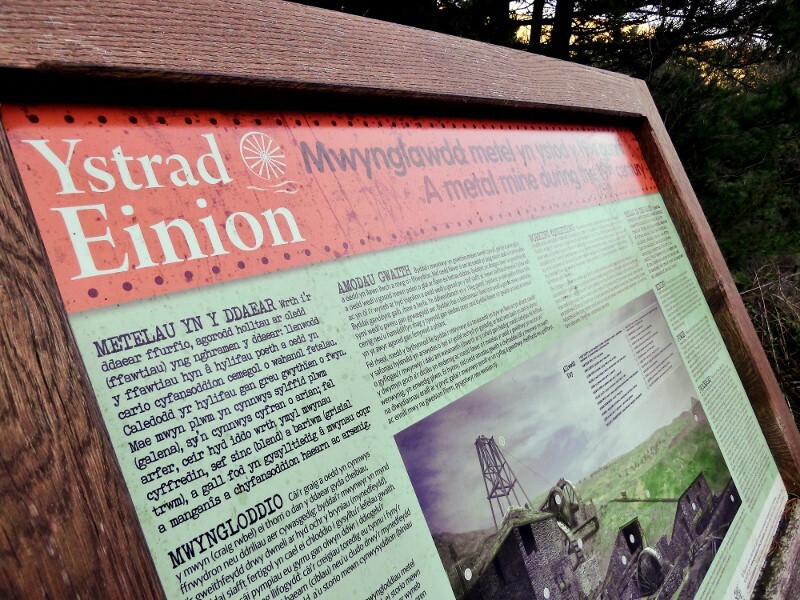 Ystrad Einion was never a rich mine, the production figures between 1891 and 1897 show that only 9 tons of lead ore, 10 tons of zinc ore and 45 tons of copper ore had been extracted." The Video, by the Metal Links Project. Thanks to my lovely better half for the use of her photos. The fine circular powder house. That's a most interesting reconstruction in the video - thanks for sharing the link! Thanks, Graham. I was most impressed with it too. Glad you enjoyed it.